Would you like a drag-and-drop editor for the Avid S6 control surface. If so then Kaspar Hugentobler, a software engineer & recent graduate from Georgia Institute of Technology has just completed some major updates to EuconLayouter with the release of Version 2.0. New features include support for Pro Tools 2018 appset files, a "Check for Appset updates" to automatically download revised / new appsets as they are available and improvements to flexibility and ease of use. Avid are continuing their drive to improve Pro Tools with regular releases by announcing the latest update to Pro Tools 2018.10. 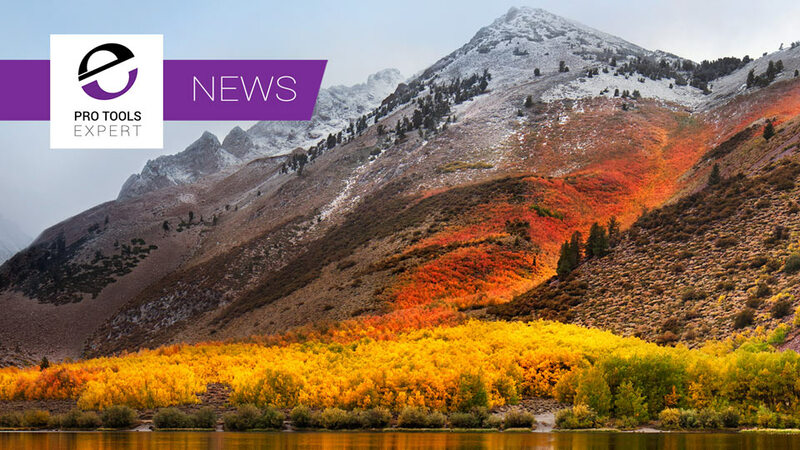 This update is mainly a bug fix release, that Avid wanted to get out to users now rather than wait until they have finished the qualification work for macOS 10.13.6 and 10.14. Like it or not iLoks are a key part of the scenery in our industry, especially if you use Pro Tools as not only is Pro Tools protected using an iLok but most of the plug-ins we use are also protected with an iLok. 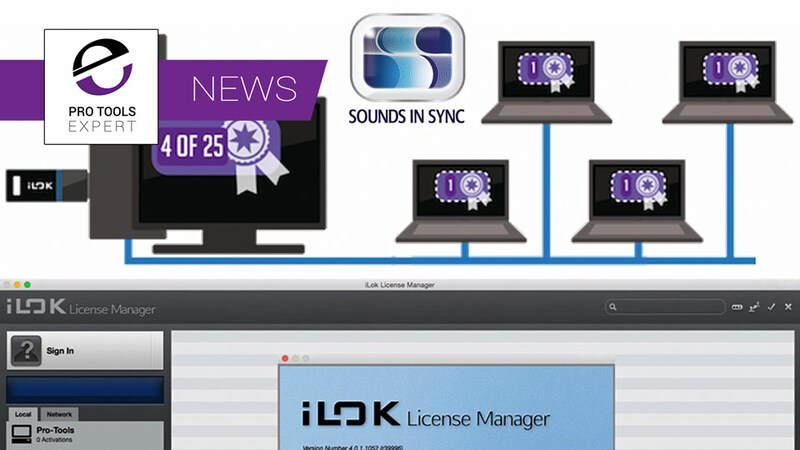 We have a significant resource of iLok related content on Pro Tools Expert from setting up your iLok Account, the iLok License Manager and activating iLok protected software, via having trouble with an iLok related issue through to what do you do if your iLok is broken, lost or stolen. We also offer advice on how to protect your iLok from being broken, lost or stolen as well as whether it is safe to buy iLok protected software on sites like eBay. We all know that we can rename the Pro Tools.app before installing a newer version so we have a backup if the new version has problems, but we don't always remember to do it every time. 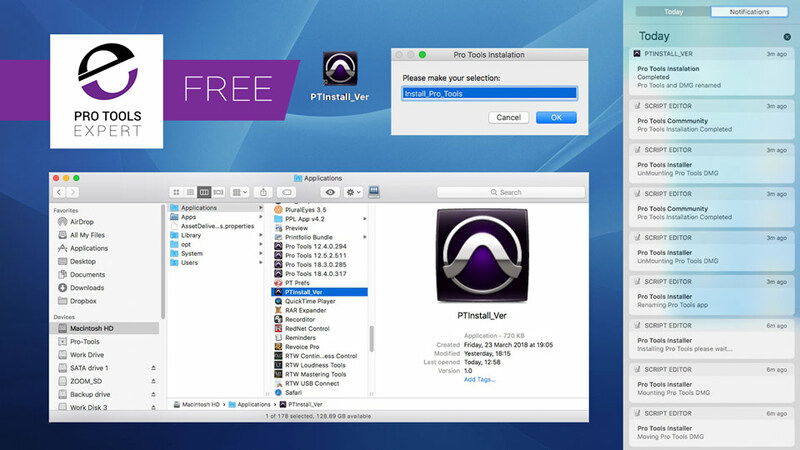 Community member Marco Bernardo has written a Mac-only free app using Python and AppleScript to solve this problem. Avid has announced that they will be releasing a new Connect app for desktop or mobile devices later this Spring which will replace the Application Manager app and add new functionality including being able to create a profile, find other like-minded talented users to collaborate with on a project, access to 'Lounges', where you can contribute to real-time discussions on different industry or product topics and purchase compatible tools to help inspire creativity directly from the Avid Marketplace. Software subscriptons are part of modern recording and offer a different way to pay for the software they use, but are they good or bad? Russ offers his opinion. In this final free video tutorial in the series, James and Steve talk about editing your multi-track session where the tracks contain playlists. This is an area of editing that is full of potential pain points. Following the steps that Steve lays out will help you avoid the potential pitfalls when the artist or producer says "Can I just cut the 3rd verse." In part 5 of this free video tutorial series, James and Steve talk about how to keep your session tidy and how to prepare it for transit to another mixer. They talk about how Steve would expect to find unwanted or un-used tracks and how you can use the Track Comments box to leave notes for whoever is next to work on the track. In part 4 of this free video tutorial series, Steve Genewick and James Ivey discuss tuning and how to make sure your tuned vocal and instrumental part stay locked to their processing partner software. Steve shares some of his best practices when it comes to moving files in Pro Tools with Autotune or Melodyne attributes. There is a bit of a theme running through all these free video tutorials with Steve Genewick and James Ivey, and that is always assume that someone else is going to work on your session. You will be hearing this mantra a lot in these videos. James and Steve start off by discussing track labelling and some best-practice ideas for how to make your DAW session (in this case Pro Tools) as agile as possible with some tips that will make your working life easier. 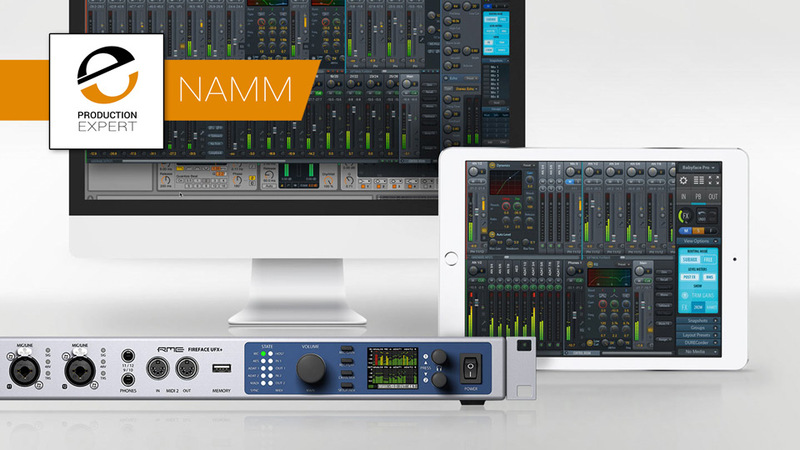 At NAMM 2018 Celemony has announced version 2 of the ARA (Audio Random Access) plug-in extension. The ARA interface extension has been designed to allow plug-ins and DAWs like Studio One, to communicate more comprehensively with one another and therefore work far better together. 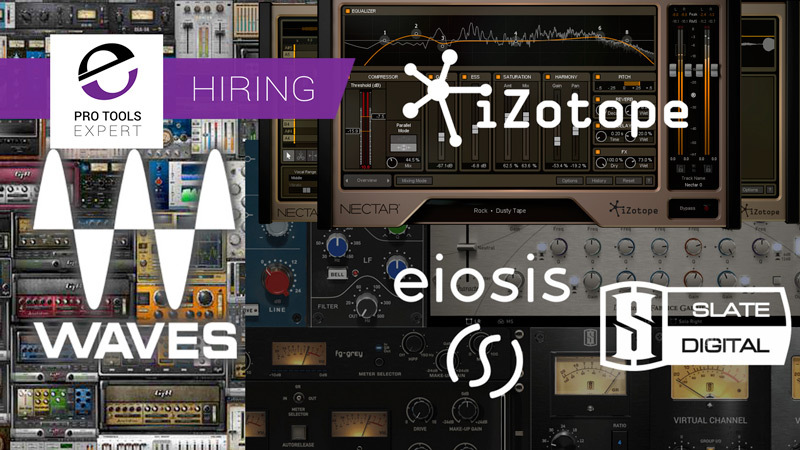 A number of top brands are looking for developers at the moment, so if you have the talent and skill and would like the opportunity to work fro Eiosis, Slate Digital, Waves or iZotope then take a look at the posts they are looking to fill. With the release of macOS High Sierra today we wanted to share in this article, up to date information, as we get it from brands and the community, about what does and doesn't work with macOS High Sierra and pro audio applications and plug-ins, as well as other related issues which affect pro audio users. 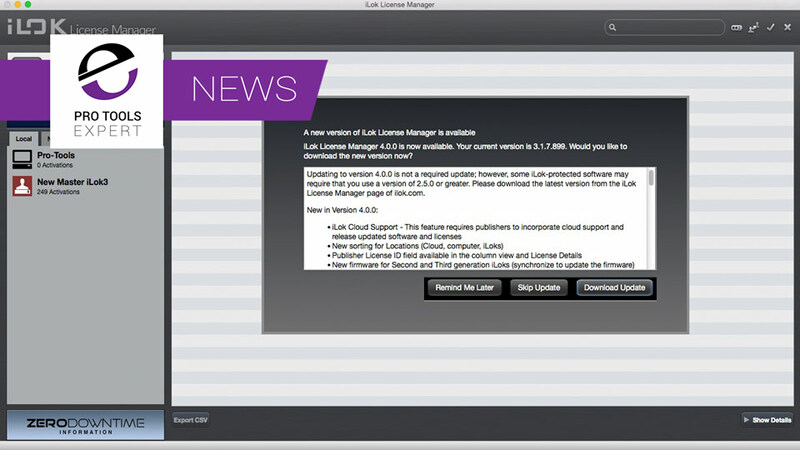 This article will be updated as the information and compatibility status changes. In this free video tutorial from Mark Franken, creator of Ediload, you will learn how to save time asking your editorial team for an AAF of the sync sound for these shots, and create this sync sound track yourself using EdiLoad and the Pro Tools field recorder functions, using a new feature introduced in EdiLoad v3.4.1 to be able to export an Avid Log Exchange (ALE) file from the WAV File List window.